We are Ficek Insurance and we love what we do. We have two locations to serve you better. Contact Us to see how we can provide you with the insurance coverage and pricing you are looking for. Previous to starting their own Insurance Company, owner Rod Ficek had spent 10 years in the financial services industry, and his wife Heather was a teacher who had taught in both the school system and at Assiniboine Community College. Rod and Heather both graduated from High Schools in Brandon as well as Brandon University. Ficek Insurance was originally A.C.Clark Insurance, which started in 1946! 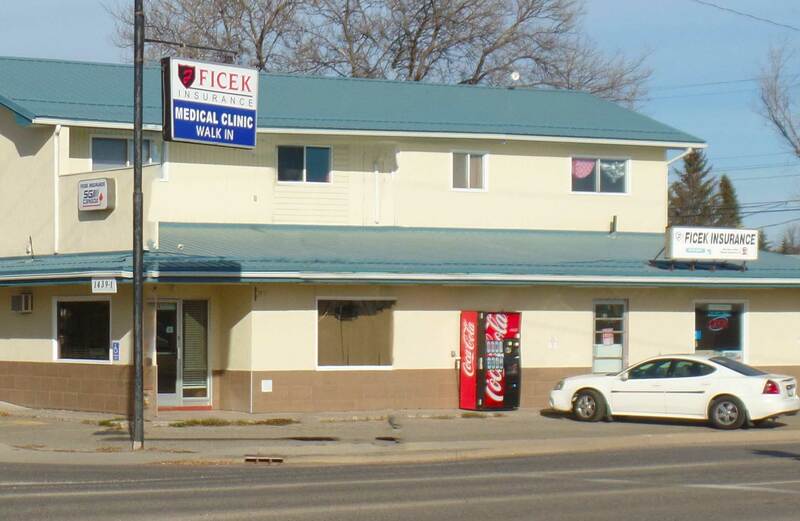 In 1986 the Ficek's purchased the office of A.C.Clark Insurance and subsequently renamed the business. In January of 1986 Mr. Clark's insurance office was moved out of his home on 6th St. to Ficek's first location at 1102-6th St where it remained until April of 2012. In the early 1990's the business expanded by purchasing the insurance division of Brandon Realty, and then in the late 1990's Ficek's purchased Crang Insurance office in Shilo, MB. In 1999 the Shilo office was moved into Brandon to its current location at 1439-1st Street (1st St and Richmond Avenue). In the early 2000's Rod and Heather's children began to enter the insurance field. Two children still remain in the business with Rod and Heather, Danon and Sabrina Bambridge (nee Ficek). In April of 2012 the 6th Street office was moved to the Murray Chrysler Building in the Murray Auto Group at 1550A Richmond Ave. Brandon. It has been a great journey serving the Westman area. From a business that started as Rod and 1 part-time staff, to our current compliment of 10 or more licensed insurance brokers in 2 locations, Ficek Insurance looks forward to many more years of superb service. Toastmasters International- club member, Area Governor, Div. Governor. District Governor Manitoba and NW Ont.